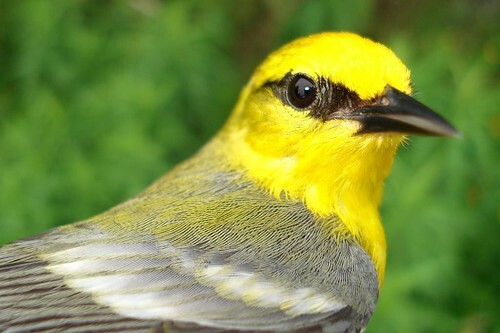 May first brought in a flurry of new birds species in the Allegany State Park area. The morning started off with a Blue-winged Warbler (CHECK) and Wood Thrush (CHECK) who were down in the wetland on the maintenance road. I finally saw my first Gray Catbird (CHECK) as it passed in front of the vehicle along Red House Lake! 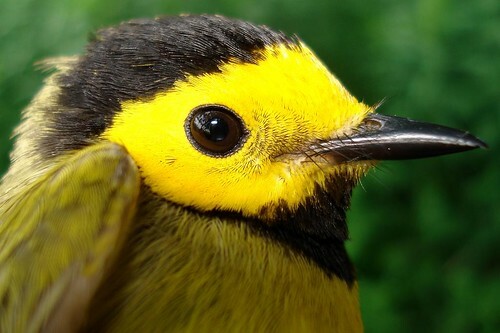 I spent most of my morning along the Bova XC/Mountain Biking trails, where I picked up a Hooded Warbler (CHECK) and American Redstart (CHECK). The Cliff Swallow (CHECK) was observed flying around the Administration Building exploring the locations that they have nested previous years! It is absolutely amazing how quickly birds arrive once you get the most perfect southern winds! This entry was posted on 2 May 2009 by mon@rch. It was filed under Allegany State Park, Birds, Flickr, migration, Nature, photography . The Gray Cat Birds also has arrived in my backyard. This is their fifth year to nest nearby. I see they likes the rotting pears I put out and the grape jelly the Baltimore Orioles and the Orchard Orioles come for. I have been enjoying catching up with you and the birds this afternoon. Love the light in the first photo–really shows off the bird. I love your first photo, Tom. And your close-up photos are so sweet! The Restarts are one of my favorites and I was sure on the lookout for them at Oil Creek last weekend but didn’t see very much of anything that day. We went fishing at Presque Isle and I purposely left my camera and binoculars so I wouldn’t be distracted. I couldn’t concentrate on fishing with all the birds with their different colors flashing past me. I sure wish I had brought my camera! The sharpness of the catbird and pine needles against the soft green background make for a lovely image. Wow. I’m still waiting on some of the migrators to come through this area. Love your colorful visitors! I have started compiling a list of birding finds for myself. And I must say that it is quite thrilling to spot one you have never seen before. What is particularly amazing to me is how many different birds you can see when you are looking for them. The close-ups are great but I am really liking the Gray Catbird photo. The surrounds add a very nice touch and the background is creamy smooth! Well done. We’ve been checking them off left and right here too. Love your photos. 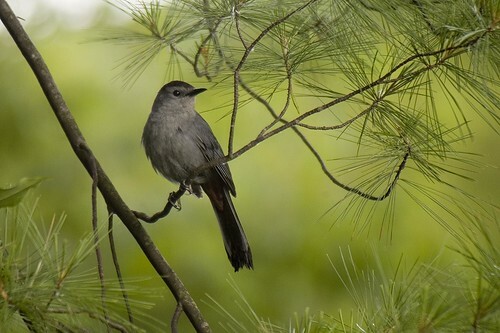 The Gray Catbird is so sweet! Awesome photos! I get especially excited when I find Hooded Wabrlers around here. They are pretty scarce. I agree about the Catbird that is a wonderful image, well done Tom !! We’ll have to add our appreciation to everyone elses’ regarding the catbird photo. It’s a great shot. 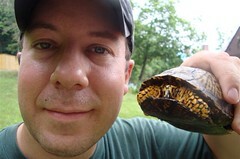 Of course, we always enjoy seeing the close-ups that the banding permits, as well. 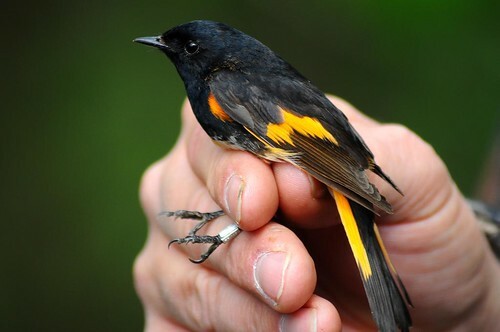 That Redstart is a pretty spectacular bird! I have to add my praise for your catbird photo. Wow-all these shots are fabulous-me too love the catbird shot!